Dr. Tanya Ekanayaka (Tanya Nissani Ilangakkone Ekanayaka) is an award winning and internationally acclaimed Sri Lankan-British composer-pianist and regarded as one of Sri Lanka's finest artistes. 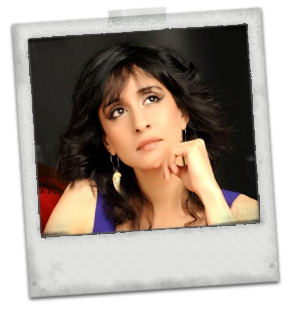 Classically trained and with a background in popular and South Asian musics, Tanya Ekanayaka is also a record producer, improviser and musicologist in addition to being a highly qualified linguist. Although trained as a pianist, her compositional skills are the result of a purely intuitive and natural development. Since August 2014, Tanya Ekanayaka has been contracted with Naxos Records, the world's largest independent classical music record label. Her debut album of compositions for solo piano composed, performed and produced her, titled 'REINVENTIONS: RHAPSODIES FOR PIANO' was released worldwide by Naxos (Grand Piano) in 2015. This album introduces a new musical genre developed by Tanya Ekanayaka and also represents the first album of compositions entirely by a Sri Lankan composer to ever be launched globally by a major record label. Her composition 'Adahas: Of Wings Of Roots' is also featured in the more recent Naxos Records (Grand Piano) release titled 'THE KEY COLLECTION: THREE CENTURIES OF RARE KEYBOARD GEMS' released in 2017. Tanya Ekanayaka’s second solo album of her own works for solo piano performed and produced by her, titled ‘ TWELVE PIANO PRISMS’ was released worldwide by Naxos Records (Grand Piano) in September 2018. Comprising twelve independent yet also interconnected works which evolved in 2016 and 2017, the album extends the concept introduced by Tanya Ekanayaka in her debut album while also exploring a new concept. Tanya Ekanayaka began studying the piano when she was just five years old. She made her debut public recital appearance at the age of twelve, performed her first concerto (Mozart's Piano Concerto K.488), at sixteen with the SOSL (Symphony Orchestra of Sri Lanka), as joint winner and youngest competitor of the SOSL biennial concerto competition and has since performed in renowned international concert venues in Asia, Europe and the United States. Consistent with her interdisciplinary background, she holds a Bachelor of Arts (BA) Honours degree in English Literature and Linguistics from the University of Peradeniya, a Master of Science (MSc) degree in Linguistics and English Language from the University of Edinburgh in Scotland, and a Doctorate for her interdisciplinary research in Linguistics and Musicology also from Edinburgh University. Tanya Ekanayaka is also a Fellow of the Trinity College of Music London (FTCL), and a Licentiate of both the Associated Board of The Royal Schools of Music (LRSM), and the Guildhall School of Music and Drama (LGSMD) UK. The Guildhall school awarded her its Professional Performer's Diploma (PPD) in 1999. Tanya Ekanayaka’s compositions are regarded as representing new and exciting musical genres. Her compositions in her debut album comprise the integration of unusual adaptations of melodies belonging to Sri Lankan indigenous and popular musics (many of which have not been adapted for the piano or harmonised), with musical motifs inspired by the tonal centres of the other compositions which formed a given recital programme she was performing. Among a range of adaptations of traditional Sri Lankan melodies incorporated within the works of this album are adaptions of ten of the eighteen ancient Sri Lankan vannams. Her second solo album ‘Twelve Piano Prisms’ includes adaptations of traditional Sri Lankan melodies, among them the remaining eight vannams not represented in her debut album as well as adaptations of traditional/indigenous melodies of Armenia, China, Japan, the United Kingdom and the United States of America. The twelve prisms share thematic and structural features which lend them to be connected in any combination with short improvisatory sequences to form new extended works. In this sense, each of Tanya Ekanayaka’s compositions may be seen as re-presenting her indigenous culture while also conflating diverse musical genres and eras within a contemporary and organic entity. Tanya Ekanayaka’s compositions evolve spontaneously, often when she is at the piano and remain precisely frozen in her memory. They have not been scored in any form. Tanya Ekanayaka regards her compositions as deeply autobiographical ‘moments’. She attributes her compositional style to her multilingual and multicultural backgrounds as well as to being ambidextrous and having partial colour synaesthesia. She is a native speaker of English and Sinhala and grew up in the city of Kandy in Sri Lanka where she was exposed to a broad spectrum of musics from a very early age. Devoting endless hours to evolving original music was how she attempted to comprehend and express the kaleidoscopic convergence of these various cultural and linguistic facets which seemed to define her. Tanya Ekanayaka’s recent compositions have also been influenced by her interdisciplinary doctoral research which addressed questions relating to whether there are differences between communities’ collective perception of language in particular language mixing in music (i.e. songs) and their perception of language and/or language mixing in non-musical environments. Having discovered interesting differences between them her research included the formulation of a theoretical model designed to explain the differences. In Sri Lanka, Tanya Ekanayaka studied the piano under the tutelage of her mother Indira Ekanayaka and later with Bridget Halpé. As an adult, her pianistic skills have benefitted from guidance by Colin Kingsley, John Kitchen, Raymond Monelle, Peter Nelson, Nigel Osborne, Jonathan Pasternack and Robin Zebaida. Tanya Ekanayaka was appointed a member of the academic staff of the University of Peradeniya in 2003 shortly after graduating with her Bachelor of Arts Honours degree in the same year. She was a member of the university's academic staff as Assistant Lecturer in Linguistics and subsequently as Lecturer in Linguistics in the Department of English (Literature and Linguistics) from 2003 to 2005 and 2005 to 2011 respectively. Tanya Ekanayaka is currently on the teaching faculty of Edinburgh University in Scotland where she has taught part-time in both its Departments of Linguistics and Music since 2007. In 2010, Tanya Ekanayaka became the first Sri Lankan pianist to be invited to give a solo piano recital for the 'Pianists of the World' series at the world renowned recital venue, London’s St Martin-in- the- Fields. One of the oldest recital series of St Martin-in- the-Fields having been founded by the legendary Dame Myra Hess Tanya Ekanayaka’s programme concluded with the world première of her composition 'Adahas: of Wings of Roots'. This is the first composition by a Sri Lankan composer to be performed at this venue. The audience at this concert was reportedly among the largest audiences recorded at lunchtime concerts at St Martin-in- the-Fields. Tanya Ekanayaka debuted in the USA in 2012 with a solo recital at The John F. Kennedy Center for the Performing Arts in Washington DC (USA) following an invitation by The John F. Kennedy Center for the Performing Arts which was followed by a performance at the Asia Society Concert Hall in New York. Performing to a capacity audience (the audience reportedly among the largest observed at this particular concert stage), Tanya Ekanayaka’s programme for her recital at The John F. Kennedy Center for the Performing Arts incorporated the world première of two of her own compositions. They are the first compositions for the piano by a Sri Lankan composer to be performed at this venue. Tanya Ekanayaka has since given highly acclaimed solo recitals often to capacity audiences at leading international concert venues in Europe, the United States and Asia. Other music related engagements have included among others, conducting lecture recitals at leading universities in the United States, Europe and Asia as well as serving on international panels of adjudicators at music festivals such as the ‘Hong Kong Schools Music and Speech Festival’, one of the largest of its kind in the world, in 2011 and 2016. Tanya Ekanayaka's compositions have also been featured and discussed on international media, among them, BBC Radio World Service, BBC Radio Asian Network, BBC Radio 3, BBC World News Television, Naxos Classical Spotlight and New York Public Radio. From 2012 to 2014, Tanya Ekanayaka also developed a pioneering music composition project on a purely voluntary basis aimed at empowering traumatised as well as underprivileged Sri Lankan children and youth recovering from the civil war that ravaged the nation for thirty years. Tanya Ekanayaka is a direct descendant of the freedom fighter, King Edirimanne Suriya Bandara, alias King Dominicus Corea (1565-1598), on her maternal side and Ekanayaka Adiga, Prime Minister to King Parakramabahu VI (1410-1462), on her paternal side.